Villa Gardenia is a luxurious ocean-front family-friendly villa with spectacular views, a swimming pool, and a wide range of amenities. We guarantee that children and adults will enjoy it equally. Our spacious and flexible accommodations were designed for our own large family by well-known architect Ian Smith. They are arranged around the beautiful sunbathing terrace – indoor/outdoor living at its best! The accommodations consist of two interconnected building that form a single functional unit around a beautiful pool and nestled in lush tropical gardens. Our BBQ/dining terrace and outdoor lounging areas, coupled with family-size kitchen and indoor dining room, provide the perfect balance of indoor/outdoor living. All 5 bedrooms are king-sized, en-suite, fan and air-conditioned, and have their own balconies with sweeping ocean views, ensuring peace and privacy for every guest. The villa has 11 beds, but can sleep up to 16 by adding rollaway beds. Families with children of all ages – We can provide all the things you need to feed and entertain your children. Please see our list of amenities for more details. 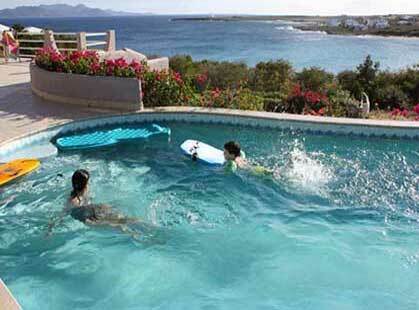 Couples & groups of friends – Our large and luxurious villa has an excellent bedroom and communal area configuration. Up to 5 couples/singles can enjoy ocean views, private balcony and all the amenities and NOT feel that someone "drew the short straw." It enables guests to enjoy time together as a group, while also offering space, peace and privacy for every person. Long stay visitors – Our well equipped villa really is a home away from home and offers excellent value, especially for bookings of two weeks or more. 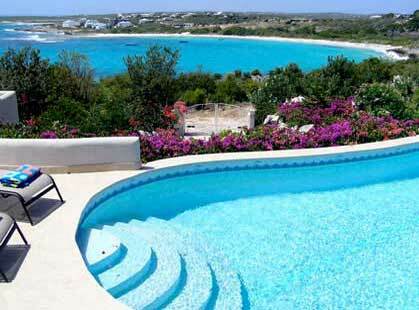 It is the perfect base to explore Anguilla’s many delights. Weddings & special events – Our spacious terrace is the perfect spot for your celebration. We are able to host gatherings of up to 100. 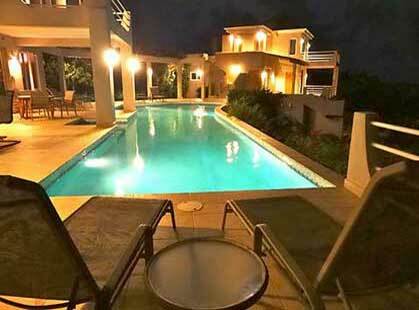 Villa Gardenia is located in the peaceful, safe, residential East End community of Sea Feathers Bay on the Caribbean coast of Anguilla. 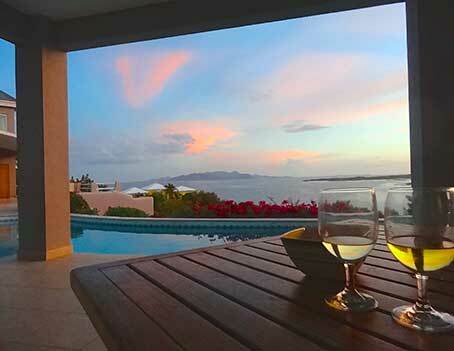 It is a 10-minute drive from Clayton J Lloyd International Airport and a 15-minute drive from Blowing Point Ferry Terminal and from Anguilla’s capital, The Valley. You can walk in less than 5 minutes to the ocean to snorkel and swim. It is a short drive to a number of the island’s top beaches. A large supermarket and several excellent restaurants are conveniently close. 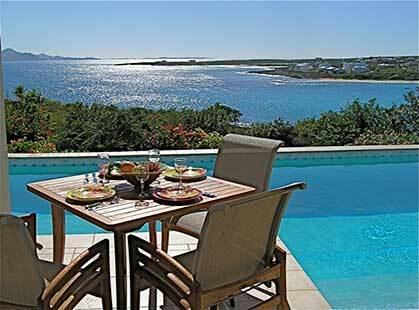 It is a 20-minute drive to the Greg Norman Golf Course and the beaches and restaurants of Anguilla’s West End. Boat charter to Scrub Island, Deep Sea Fishing, Nature Walks, Bird Watching, Kitesurfing and Stand Up Paddleboarding.